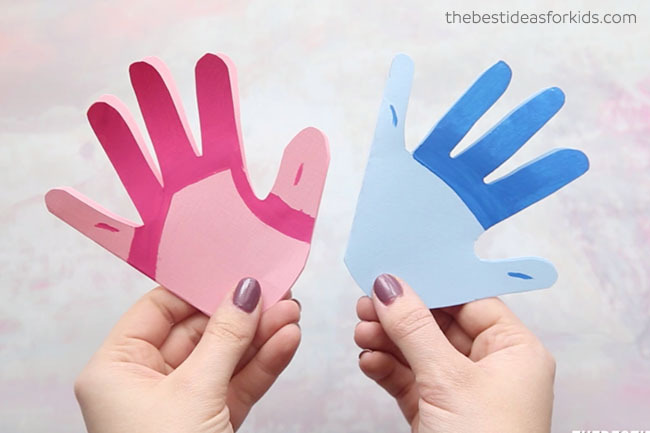 If you visit our site often you know that there are a lot of handprint craft ideas here. 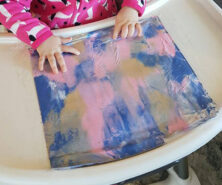 We love the Trolls movie and couldn’t resist making a Trolls handprint craft. These would make great invitation cards for a Trolls birthday party. 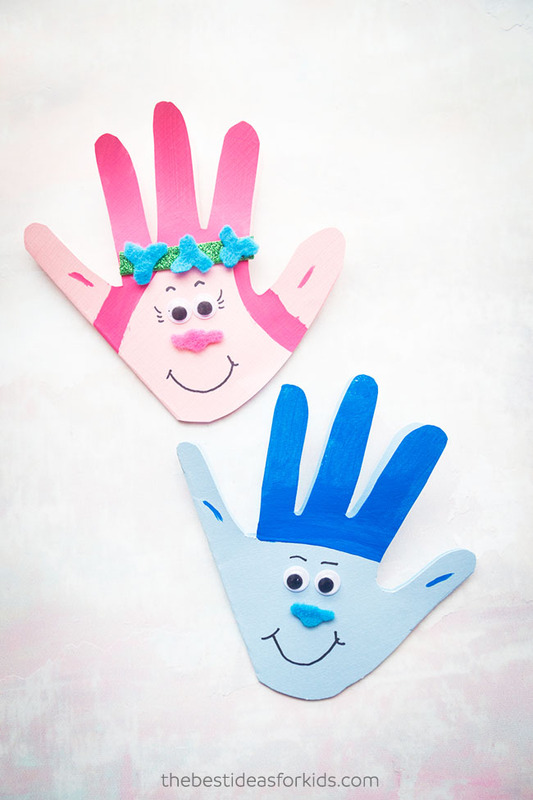 They are also really cute to make for Mother’s Day or Father’s Day from “your little Troll”. 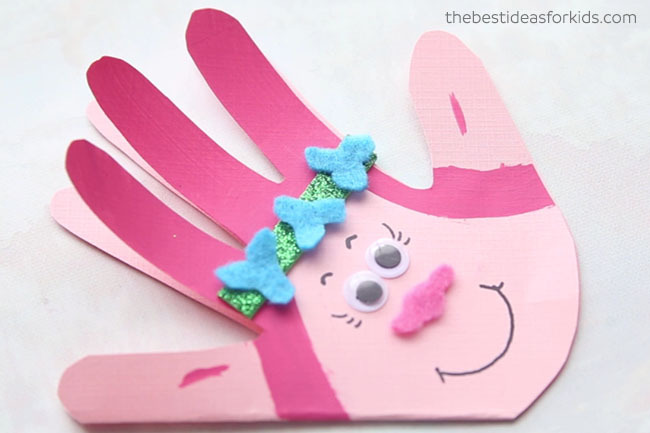 This Trolls craft is really easy to make and kids will love making their own Poppy or Branch! This Trolls craft card opens up to write your own special message inside. 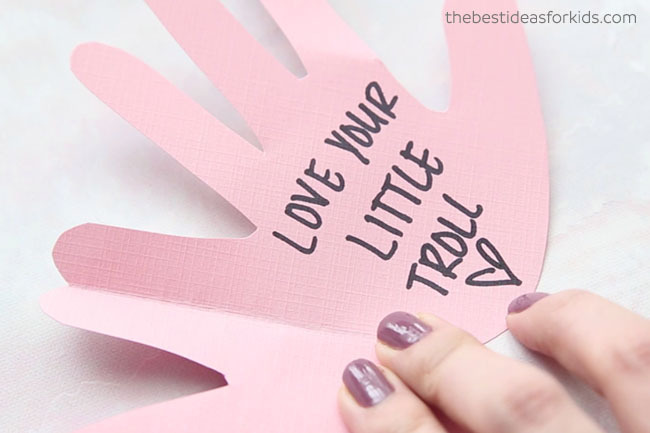 We love the play on words, “Love your little troll” but you can write any message inside! 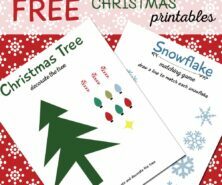 You can even make these cards as birthday invitations for a Trolls birthday party. 1. 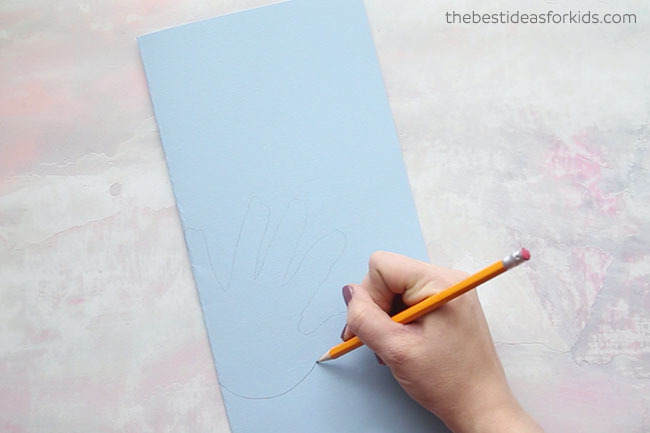 Fold your cardstock over and trace your hand so that the pinky finger and left side of the hand is along the folded part. Cut out your handprint. For Poppy: Paint the 3 middle fingers and down as shown for the hair. For Branch: Paint the 3 middle fingers. 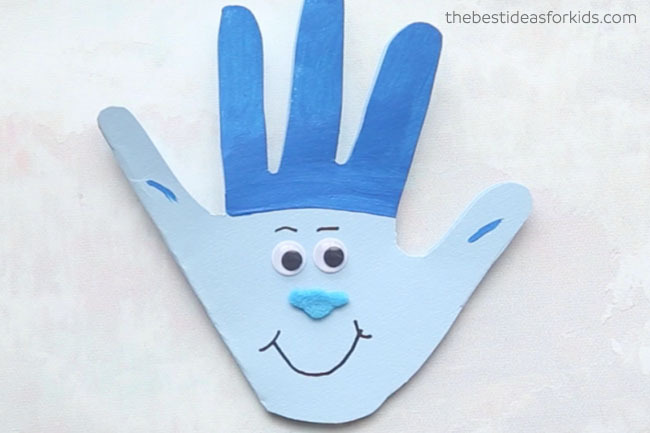 Add a small mark with paint on the pinky and thumb of each handprint to make the ears of the Trolls. 3. Add your facial features. 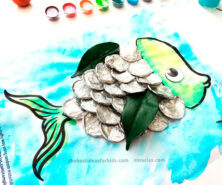 – Cut out a strip of the glitter foam paper and glue down. Cut out 3 flowers from the blue felt and glue on top. – Add your googly eyes. – Cut out the nose from pink felt and glue down. – Draw on the mouth, eyelashes and eyebrows. 1. Glue on the googly eyes. 2. Cut out the nose from blue felt and glue on. 3. Draw on the eyebrows and mouth with a black marker or sharpie. 4. Write your message inside. 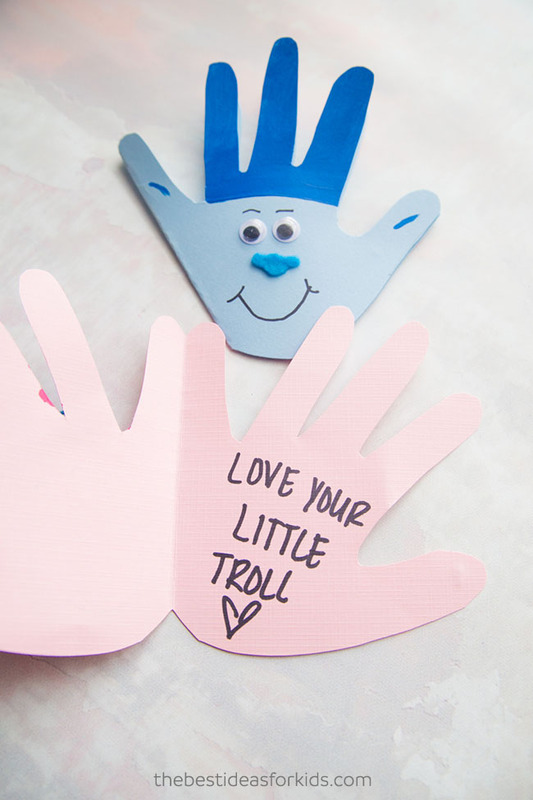 You can have your little Troll write “Love your little Troll” inside or simply write any message inside! We think these are just so cute and we’re partial to the Poppy one especially. 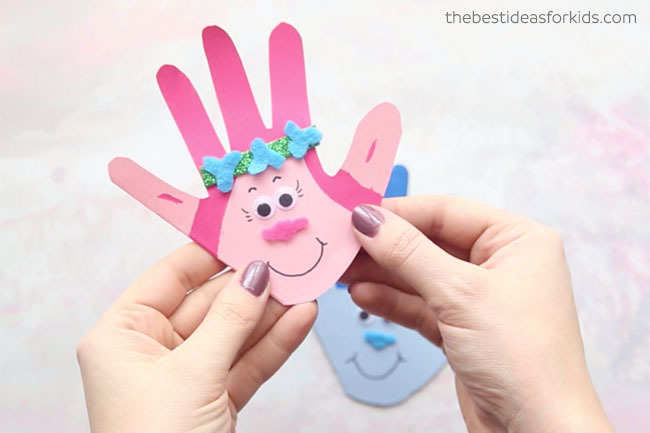 Kids will love making this easy Trolls craft! 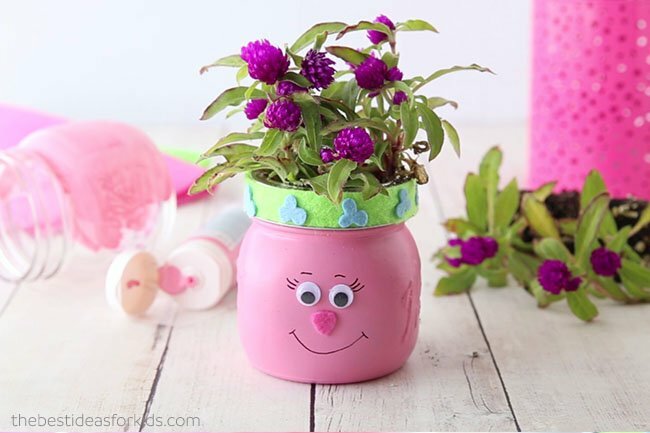 For more Troll craft ideas, see this Trolls Mason Jar – cute to make for a Trolls room or as a gift! 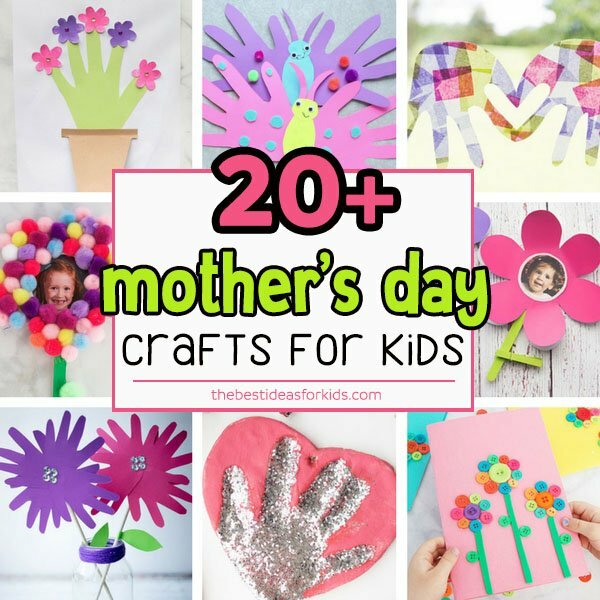 For more Mother’s Day Ideas see over 20+ Mother’s Day Crafts for Kids.